LCL Less than Container Load is one of the most cost saving and time consuming way of international container shipping. For customers who don't have enough cargo to fill whole ocean container, LCL freight is the right solution providing Full Container Load frequency and service. Depending on your cargo dimensions and weight we can consolidate your LCL load in a 20’ or 40’ foot sea container. No matter you import or export cargo from USA, LCL can drastically decrease shipping cost. We can provide you with space within ocean container and the sailing time will be the same when transporting goods LCL internationally. You will share the cost of whole container shipping with other customers, based on your cargo volume. Freight volume (cubic meter / cubic foot) is the most important pricing factor, forming the cost of your LCL shipment abroad. When exporting LCL international we monitor the whole process: warehouse consolidation, parallelize, brace and secure the cargo, filing LCL custom declaration and deconsolidating LCL import at destination. We provide partial and full LTL cargo insurance for our customers. We can help you transport your LCL goods as soon as they are ready quickly, on schedule so you will keep your supply chain moving. We heard a lot of stories from customer about unexpected LCL sea freight shipping charges at origin or destination. Often LCL shipping rates are not inclusive of some surcharges. Always pay attention and ask question because LCL shipment can cost you much higher than expected. Our ocean brokers will provide you with one simple and easy to understand rate for your LCL delivery. Do not confuse LCL sea freight shipping service with international parcel delivery. If you ship cargo smaller in size and than 0.3 cubic meters, we recommend you to use regular mail service. 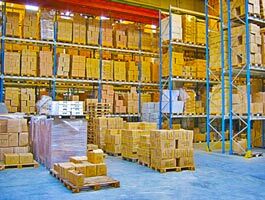 Exporting or Importing LCL freight internationally has to be properly boxed, crated or palletized. We can provide these services for you at extra cost. Shipper is completely responsible to provide necessary shipping documentation for the LCL shipment. However international freight forwarder will guide the shipper in the LCL shipping procedures. Here is the list of required documents for your LCL shipment. If costumer requires we can also assist in obtaining whole range of shipping certificates US Chamber of Commerce validation, Certificate of Origin, Fumigation Certificate etc. Please refer the link for a friendly LCL Quote.